This Rhubarb Tapioca Pudding Recipe is an easy recipe using fresh rhubarb for a pudding dessert with amazing flavour. Rhubarb adds colour AND great taste to this pudding dessert recipe! Combine the orange juice, water, tapioca and salt in a 6-cup size casserole dish. I use an 8" square dish or a 5" x 9" dish. Micro-wave, covered, at high 3 to 4 minutes or until slightly thickened. 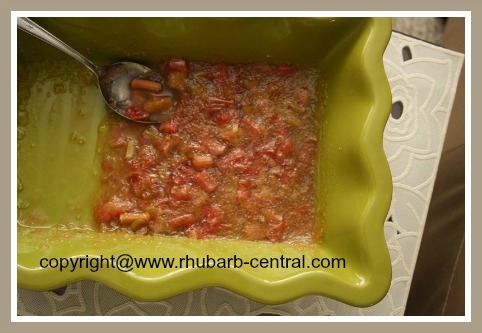 Add rhubarb, and microwave for another 4 to 6 minutes, or until rhubarb is barely tender. Do not overcook. 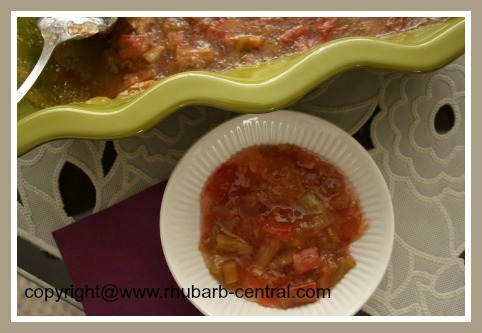 Rhubarb not only tastes scrumptious, but it is nutritious too! Rhubarb, also known as the "pie plant" contains potassium, Vitamin C, Vitamin A, dietary fibre, and calcium. And, rhubarb is also low in calories! 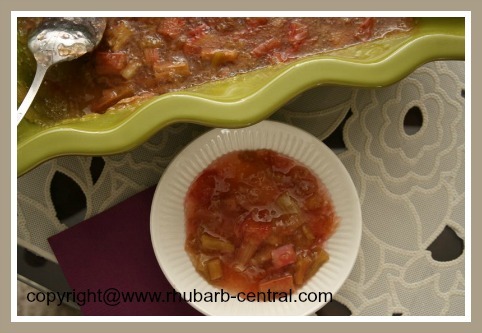 One cup of diced rhubarb contains only 26 calories. Rhubarb has been used for medicinal purposes for hundreds of years. It is one of the most commonly used herbs in Chinese Medicine. Of all the many herbs cultivated for medicinal uses in early civilizations, Chinese Rhubarb remains one of the few which is still used today.